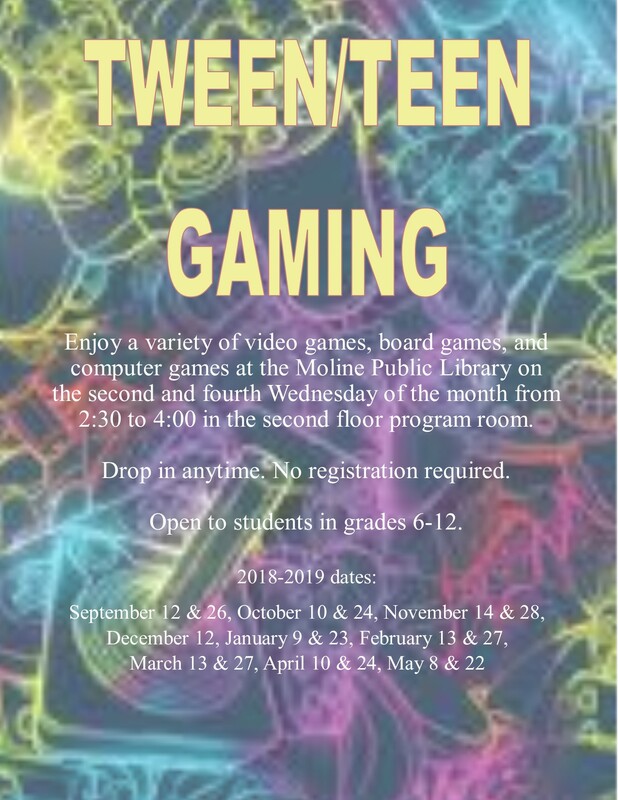 Students in grades 6 through 12 can enjoy a variety of video games, board games, and computer games at the Moline Public Library on the second and fourth Wednesday of the month from 2:30 to 4:00. Drop in anytime. No registration required. For more information, contact the Moline Public Library at 309-524-2470 or visit us at 3210 41st Street, Moline, IL or online at www.molinelibrary.com.